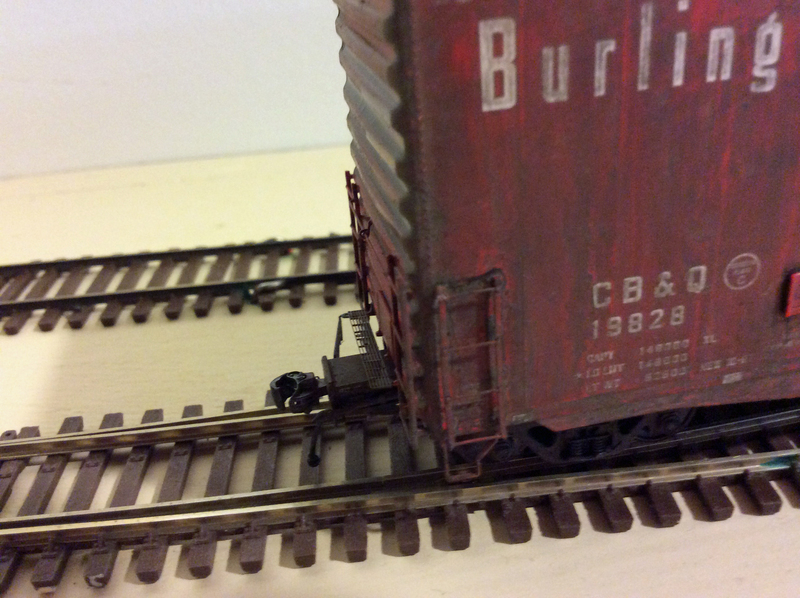 Tangent has just released a great new item, a 40′ hi-cube boxcar, sometimes called a “baby” hi-cube. 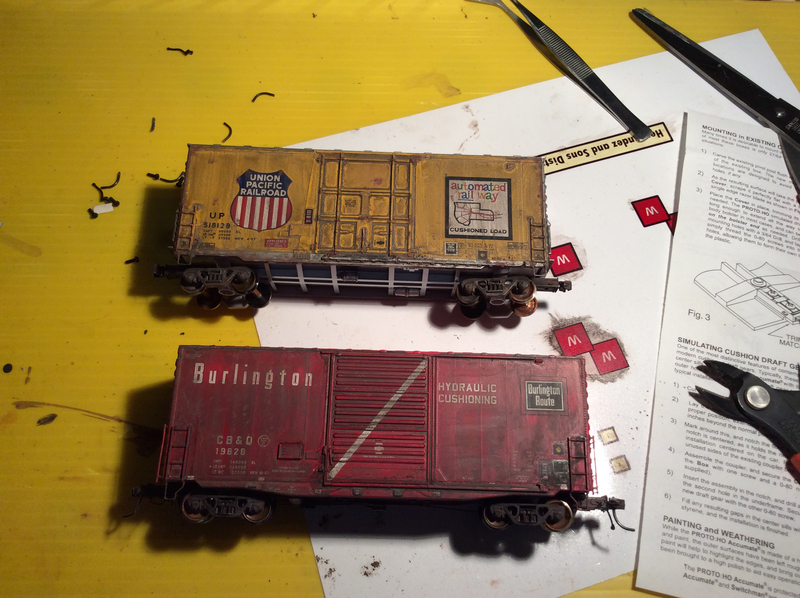 On the heels of my previous assembly and weathering of a couple of Hi-Tech Details 40′ boxcars. (See post.) I decided to add a few more of these distinctive cars to the roster thinking that Western Warehousing may receive loads of appliances from time to time. I have purchased a few of these great cars. I decided weather first the CBQ model (above). The level of detail is phenomenal. I also really wanted a UP model so I also purchased a UP Athearn model and upgrade it a bit. 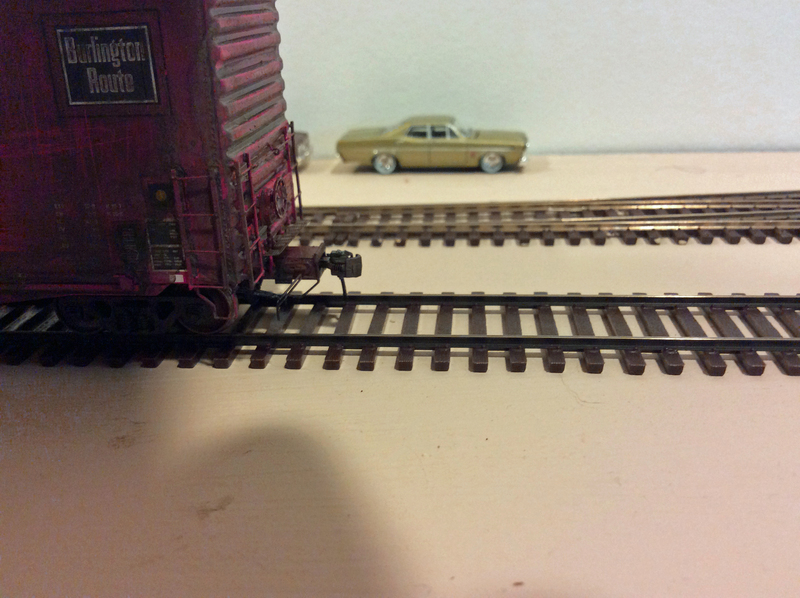 The Athearn model (plug door) is only accurate for the UP. While the details are rougher, scale wheels, new stirrups and Accumate scale couples and pockets, make this car acceptable and provides variety because of its plug door. 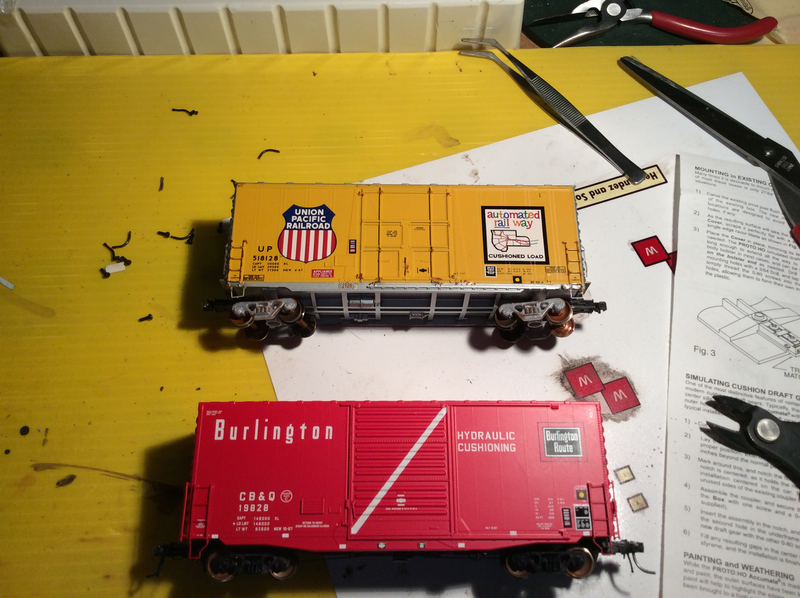 These cars didn’t come like this… This is how they looked after I installed the scale couplers on the UP model and applied the COTS, ACI and yellow dots decals. I used prototype photos to suggest proper placement of the decals. Here’s after the first cut at weathering. After a little clean up, the cars started looking pretty good. The middle car is the Hi-Tech Details model. The detail on the new Tangent car is spectacular! I am very happy Tangent produced this iconic car of the 70s and 80s! They will make handsome visitors to the layout from time to time. I recently wrote on how quickly Fort Stockton, Texas has changed. (See post.) 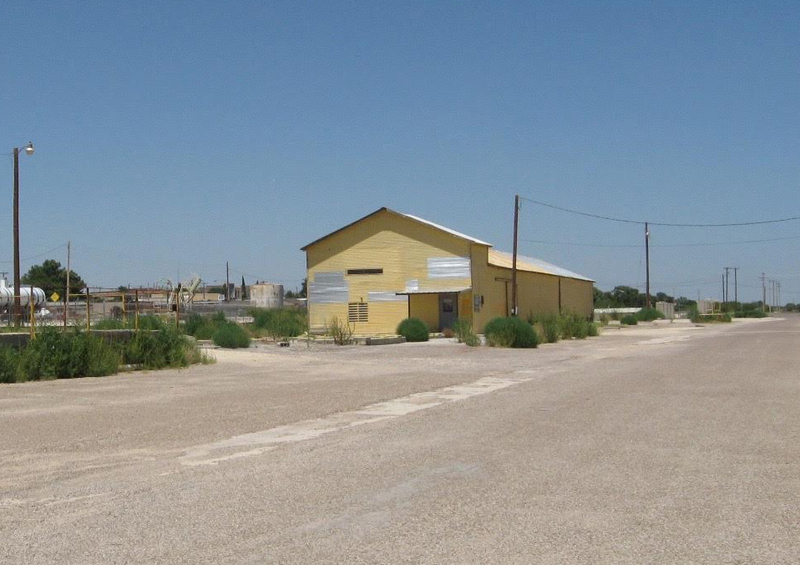 Today’s post focuses on how quickly Rankin, Texas operations have changed since 2008. In 2008, Rankin was the home of Badger Mining. Badger supplied frac sand to the oil field before the boom took off. It was a medium-sized facility that had a LOT of character. The manager always wanted to talk high school football. It was served by the Texas Pacifico. Below are a few photos I took in 2008. It was an impressive medium-sized operation. 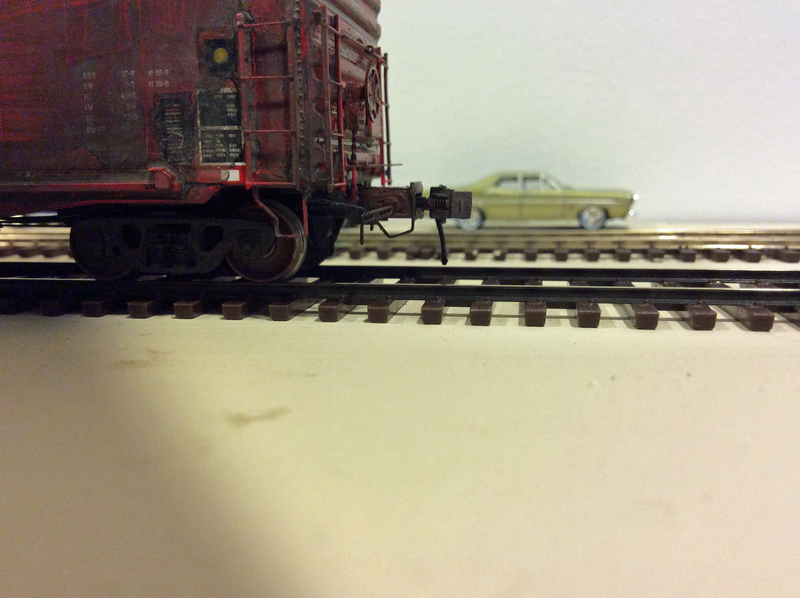 The rolling stock was normally BNSF (or predecessor) or private road. There was an interesting cable operation to shuttle the cars. Today the operation is gone. 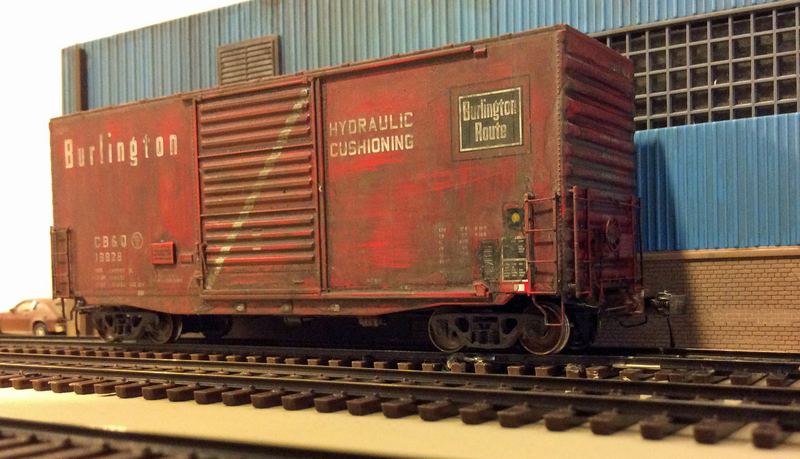 Across the tracks sits a chemical company that receives drilling fluids by rail. Today, if you see a rail scene you like, capture it! It can look a lot different the next time you are through there!